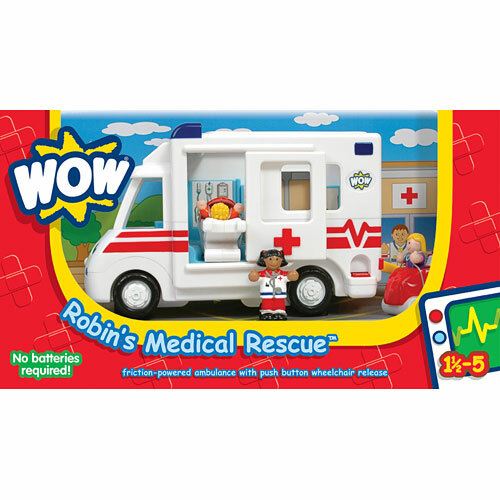 Robin to the rescue! 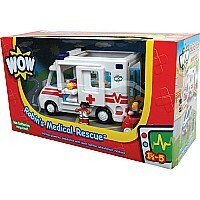 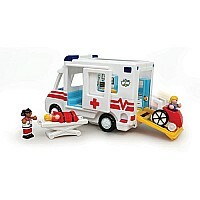 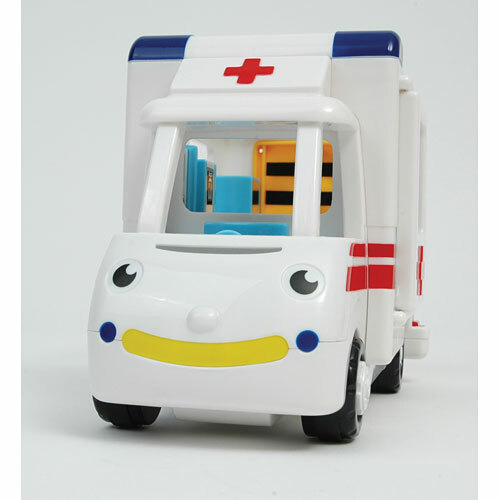 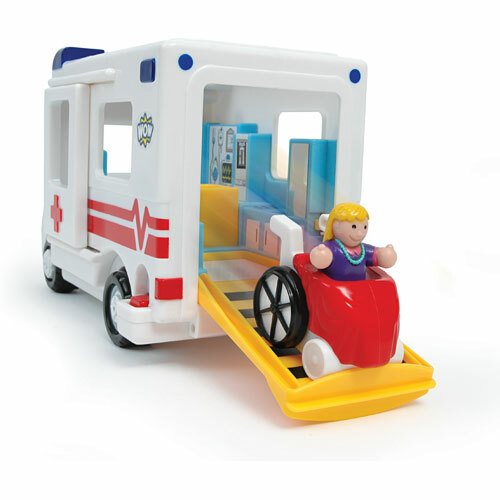 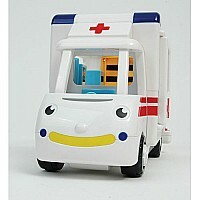 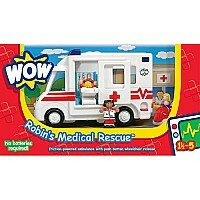 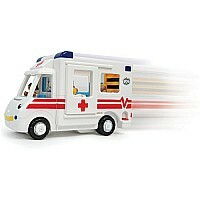 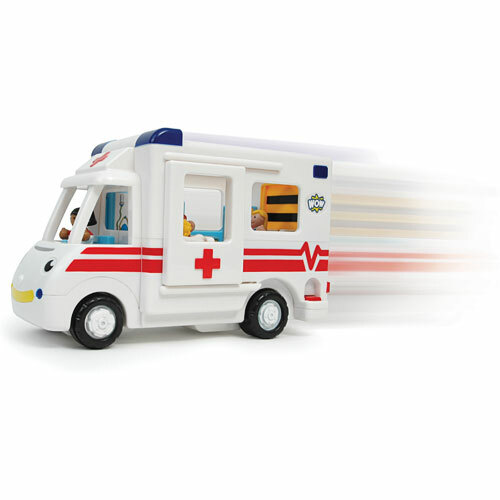 Robin is a speedy ambulance ready for any emergency with her powerful friction motor and realistic engine sounds. Open her clicking side door to remove a comfy stretcher for any injured figures. 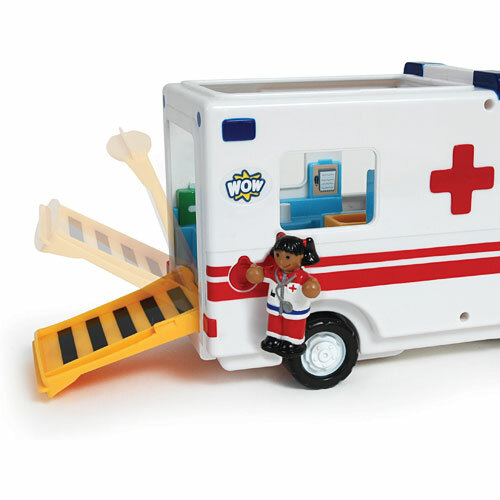 Paramedic Nina cleverly opens the back ramp and the push-button automatically releases the wheelchair - whoosh! 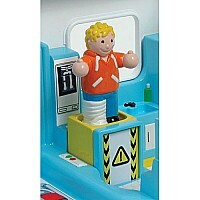 Push figures down on the amazing 'working' X-ray machine to see what's wrong. 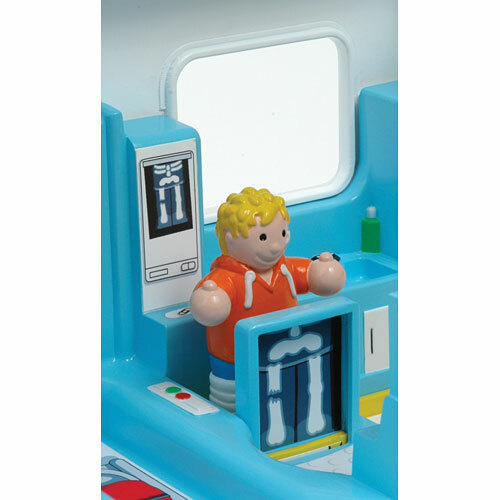 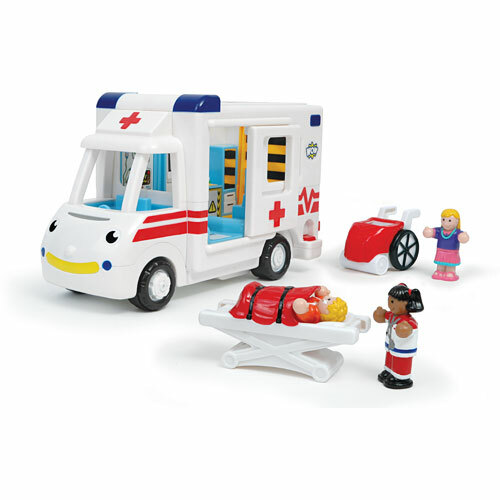 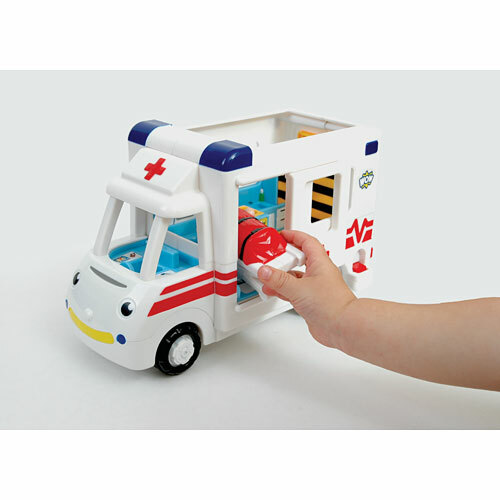 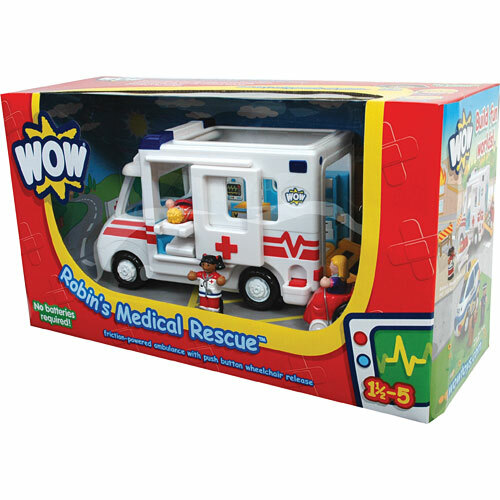 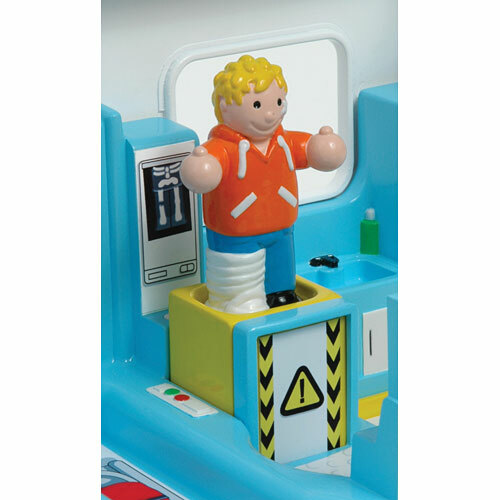 A paramedic, mother and boy figure complete this set for an ideal way to introduce real themes in a fun way to any pre-school boy or girl. Measures approximately: 17.50 x 6.50 x 9.75 inches..